The following section describes how to reset the password on your ActivityInfo account. If you forget your password, you will need to regain access to your account. For security reasons, ActivityInfo will never provide your password on request. Therefore, we ask that you reset your password using a secure process so that your account is never compromised. Navigate to the Login page on the ActivtyInfo website. Click on the "Forgotten your Password?" link, and you will be brought to the Reset Password page. 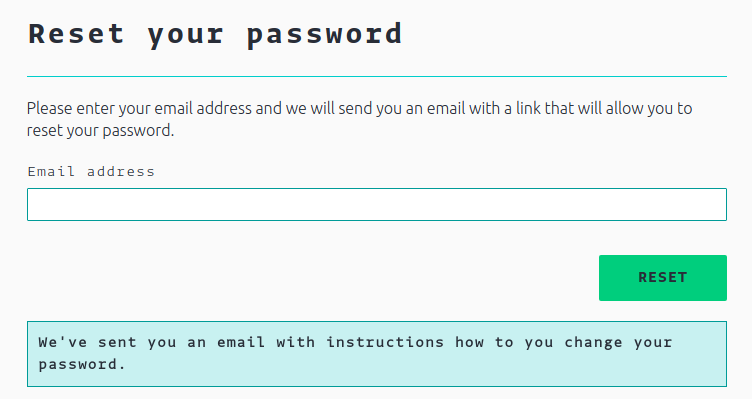 On the "Reset your password" page, enter your email into the provided field. When you are ready, click on the "Reset" button. You will see a notification that an email has been sent with further instructions. You will receive an email at the provided email address shortly after. If you wish to continue with the reset, click on the provided link and you will be brought to the New Password page. On the "Choose a new password" page, enter your new password in the provided field. To confirm your new password is correct, enter it again in the confirmation field. When you are ready, click on the "Continue" button to set your new password. 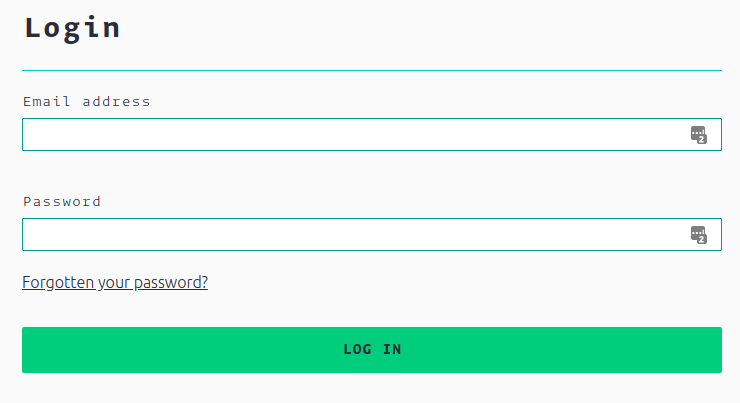 Please see our Logging In documentation for more detail on how to log in with your new password.